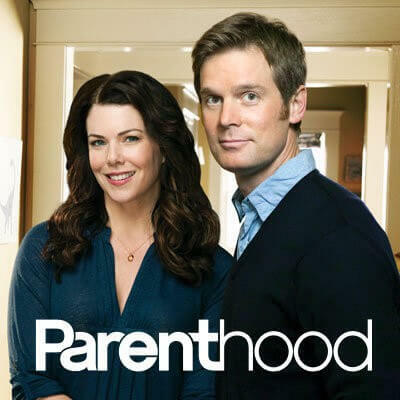 Lauren Graham and Peter Krause in 'Parenthood' © NBCUniversal, Inc. The Synopsis: Sarah Braverman (Lauren Graham) is a financially-strapped single mother trying to raise two teenaged kids, the bright but rebellious Amber (Mae Whitman) and sullen and sensitive Drew (Miles Heizer). On the home front, Sarah and her kids live with Sarah’s larger-than-life, headstrong father, Zeek (Craig T. Nelson), and pillar-of-strength mother Camille, (Bonnie Bedelia), who are continuously dealing with their own marital issues. Meanwhile, Sarah’s sister and complete antithesis, Julia (Erika Christensen) is a successful corporate attorney trying to juggle work and motherhood, alongside her loving but increasingly restless stay-at-home husband, Joel (Sam Jaeger). Commitment-phobe Crosby (Dax Shepard), Sarah’s younger brother, is helping raise a five-year-old son he had out-of-wedlock with former flame Jasmine (Joy Bryant). However, it’s Adam (Peter Krause), the oldest Braverman sibling, who has had to relinquish his expectations about what constitutes a “normal” family as he, his quietly forceful wife Kristina (Monica Potter) and independent-minded teenage daughter, Haddie (Sarah Ramos), struggle to cope with their eccentric son and Haddie’s little brother, Max (Max Burkholder), who has Asperger’s Syndrome. Although each sibling and family has its own share of life and everyday challenges to grapple with, they still manage to be there for each other in their hours of need.